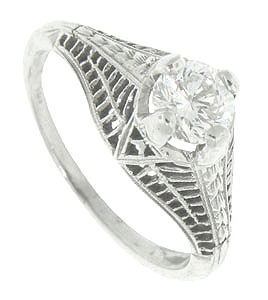 Floral engraving and lattice work decorate this 14K white gold antique engagement ring. 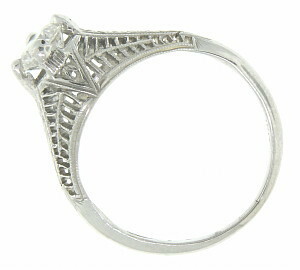 The wedding ring holds a .52 carat, H color, Vs2 clarity round diamond and measures 7.5mm in width. Circa: 1930. Size: 4 1/2. We can resize.